Yes, he is there. A gecko. Squeezed between the pergola and the wall. 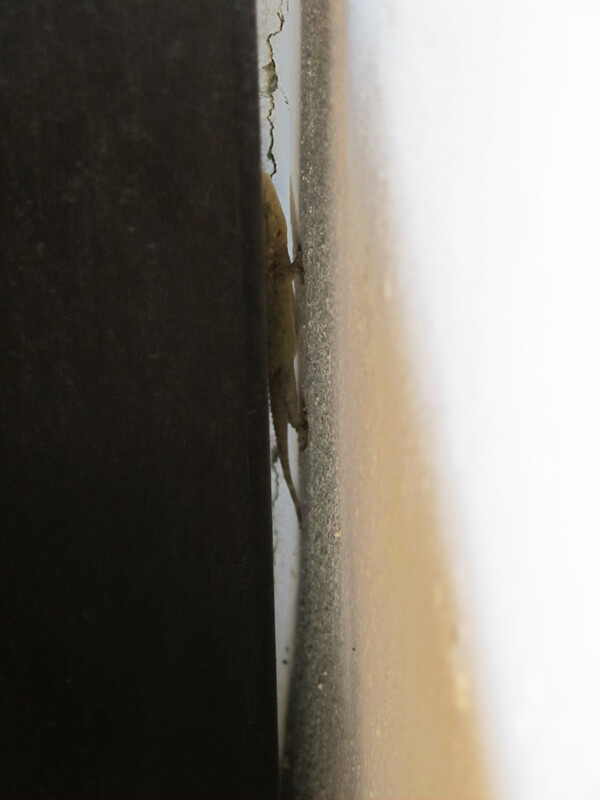 We love the fact that geckos live around our terrace. They are more timid than the lizards which will bravely cross wide open spaces. We tend to only see geckos when we have disturbed them from their hiding places, they are mostly nocturnal. The pergola on our terrace is supported by wide black metal beams, hollow beams, and we suspect this is where the geckos rear their young. At this time of year, we often hear them chirping. This entry was posted in Nature and tagged Andalucia, Sandra Danby, Spain, Spanish countryside, spanish finca, wildlife in Spain on June 26, 2013 by sandradan1.